Dressing up for Sunday brunch just sounds like fun sometimes. And generally speaking, I'd rather be overdressed than underdressed. Wearing a J. 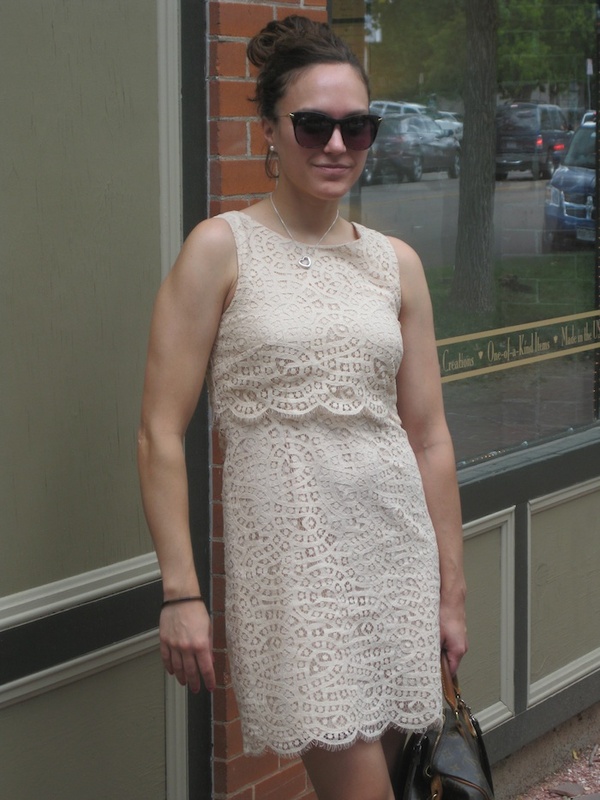 Crew dress, Chloé sandals, Louis Vuitton Speedy and bracelet, Tiffany's necklace, Mikimoto pearls via Security Jewelers, and Elizabeth and James Fairfax sunglasses. And listening to Beirut, obviously. I am so with you on wanting to fall on the overdressed any day rather than under dressed. Plus, getting dressed up for Sunday brunch just makes it that much more fun! and if you want we can follow each other on Blogloving and GFC? So funny but I featured a lace dress this week too! Following back on bloglovin. Love the mustard jeans on you! btw mayb e we can fllw each other? This is a beautiful lacy dress.